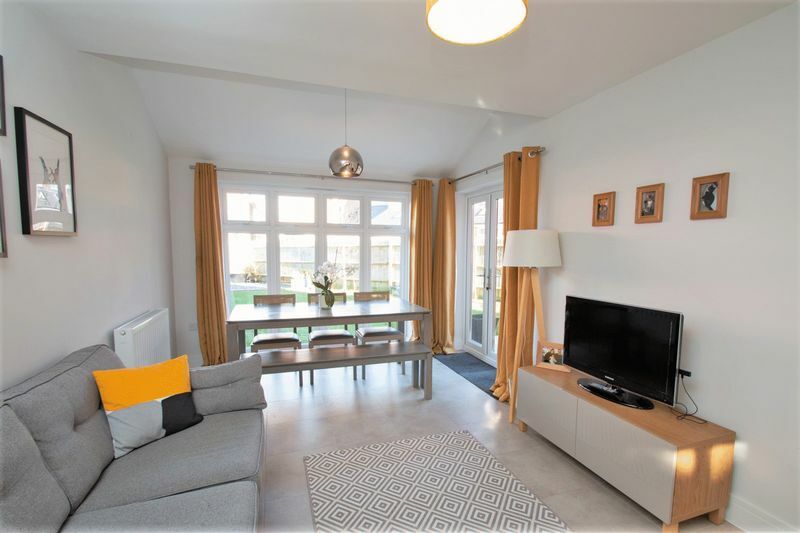 This stunning THREE YEAR OLD three bed detached home offers OPEN PLAN CONTEMPORARY living alongside a separate TRIPLE ASPECT lounge on the exclusive BERKELEY HOMES Development of Bersted Park. 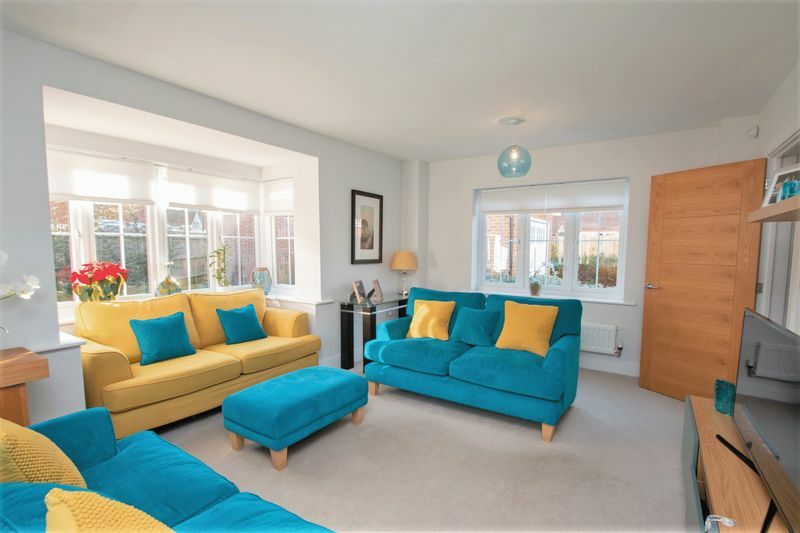 Situated at the end of a PRIVATE drive with a large garden and detached GARAGE, plus parking for up to three cars. Freehold. 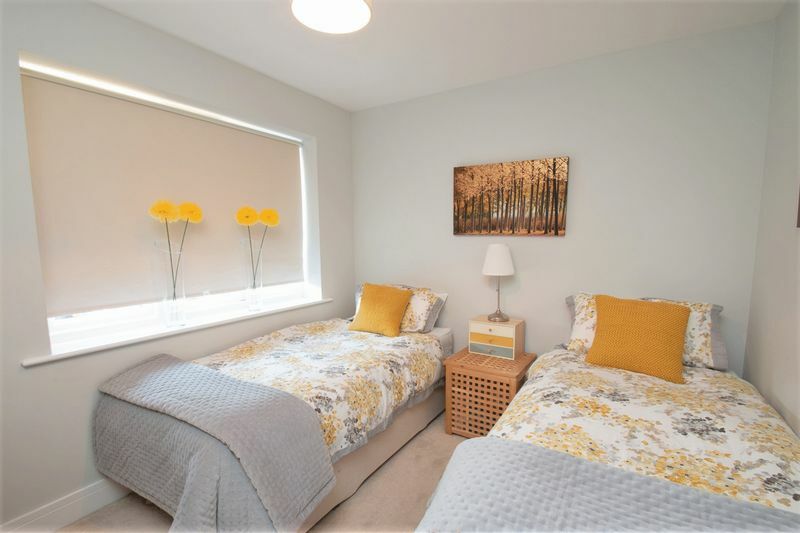 The accommodation comprises of an entrance hall, ground floor WC, utility cupboard plus under stair storage. 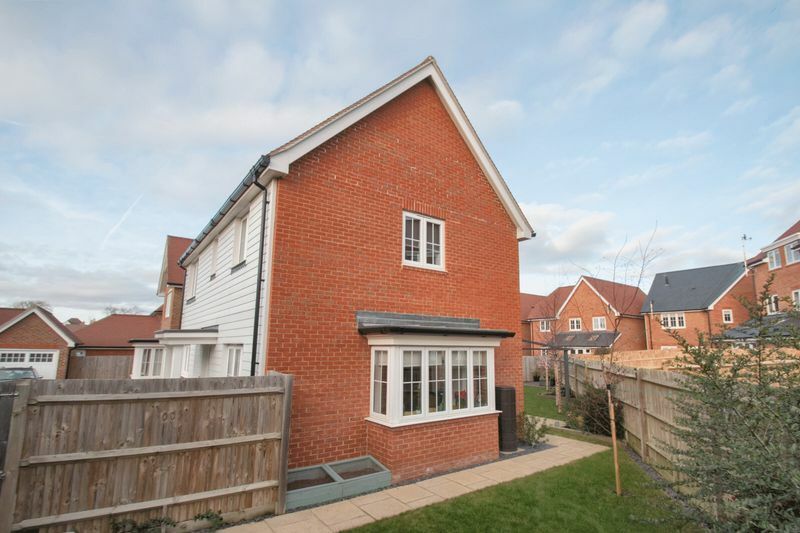 There is a substantial open plan 26ft kitchen/dining/family room with a high quality kitchen and modern appliances. 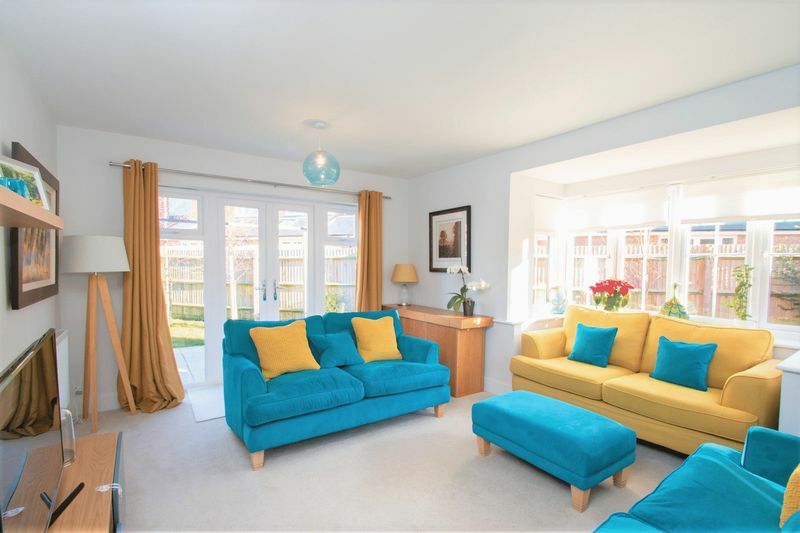 The bright sunny lounge is a large triple aspect room wrapped on two sides by the garden and patio. 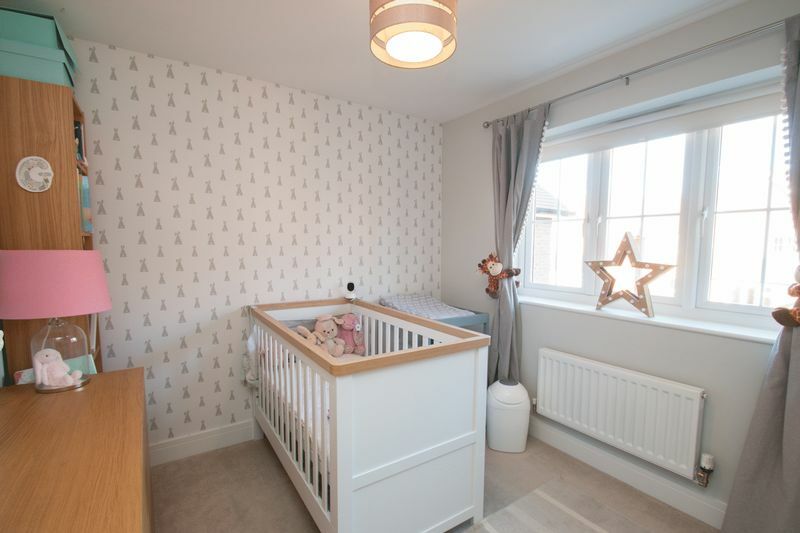 On the first floor the property boasts 3 double bedrooms. 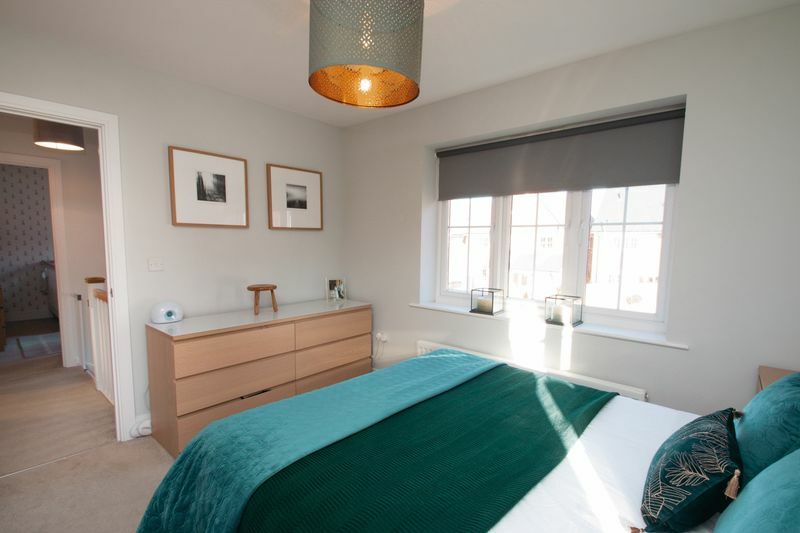 The Master bedroom has large fitted wardrobes and a luxury en-suite shower and fully mirrored cabinet. 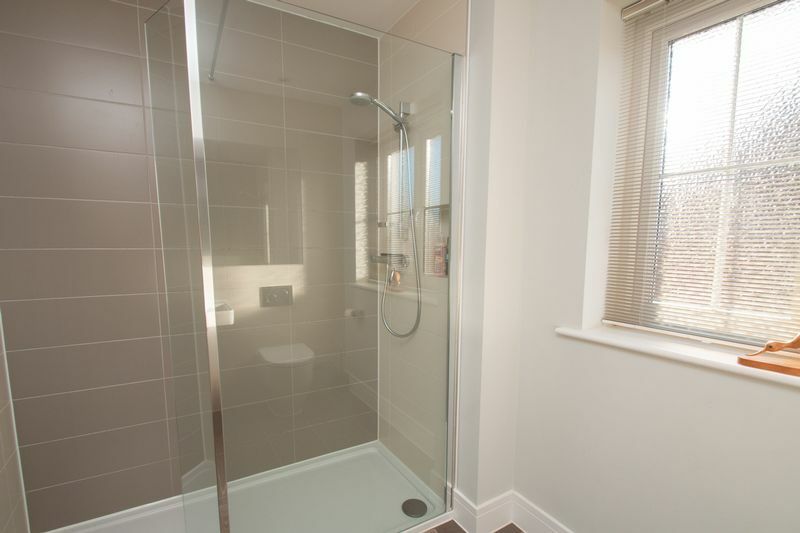 A further contemporary bathroom room with bath and shower over serves the other two double bedrooms. 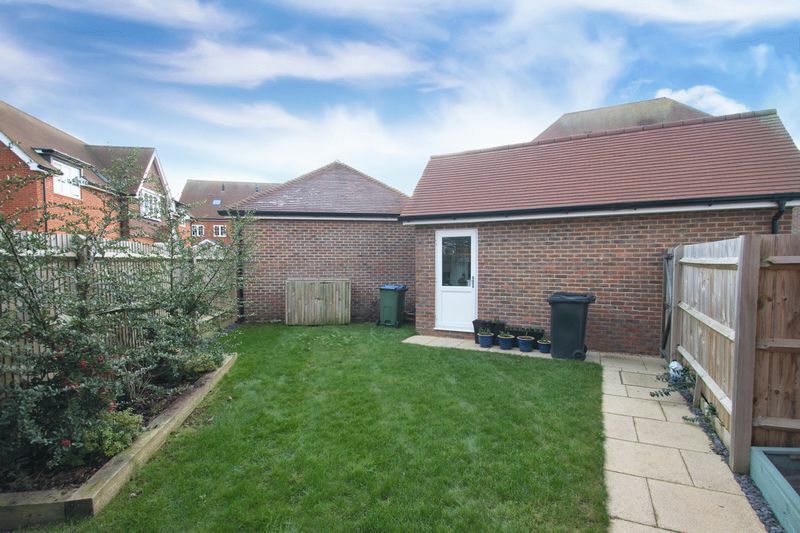 The garden is both to the rear and side of the property offering sun throughout the day and leads to the pitched roof, fully boarded garage. 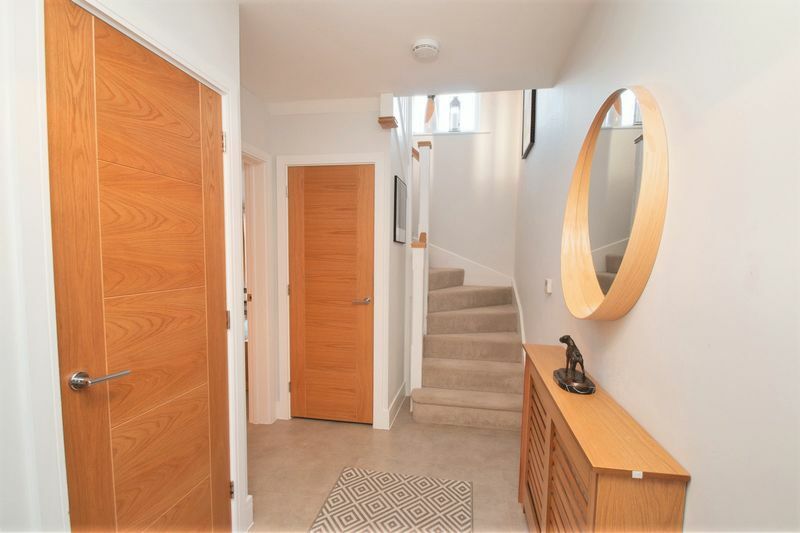 The garden is accessible by French doors from both the kitchen/family room and the lounge, and contains established Silver Birch trees, raised flowerbeds and mature shrubs. The large patio easily fits a dining table for 6 and there is a second slated seating area at the bottom of the garden. Situation – The property is located down a quiet private drive away from any traffic and close to the newly built lake on the popular residential location of Bersted Park. 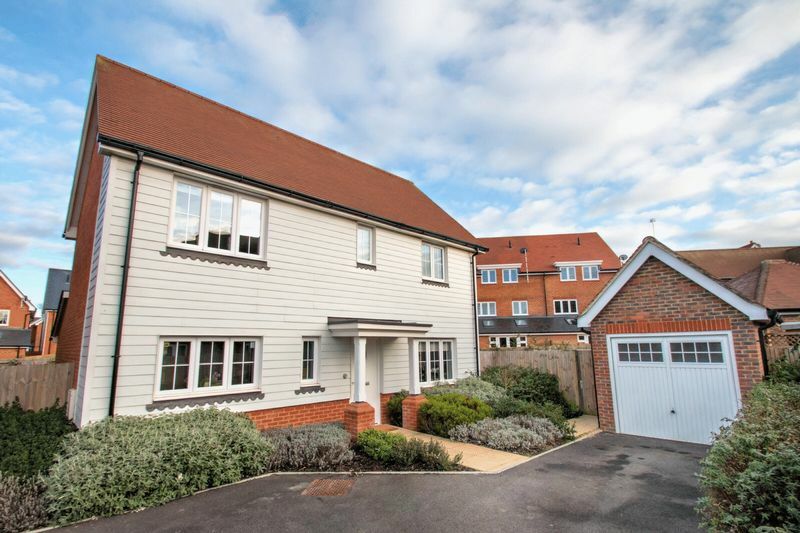 Bersted Park is situated just off the A259 with fantastic transport links to the town of Bognor Regis, Bognor Regis Train Station and to the Cathedral City of Chichester, with buses running every 15 minutes. 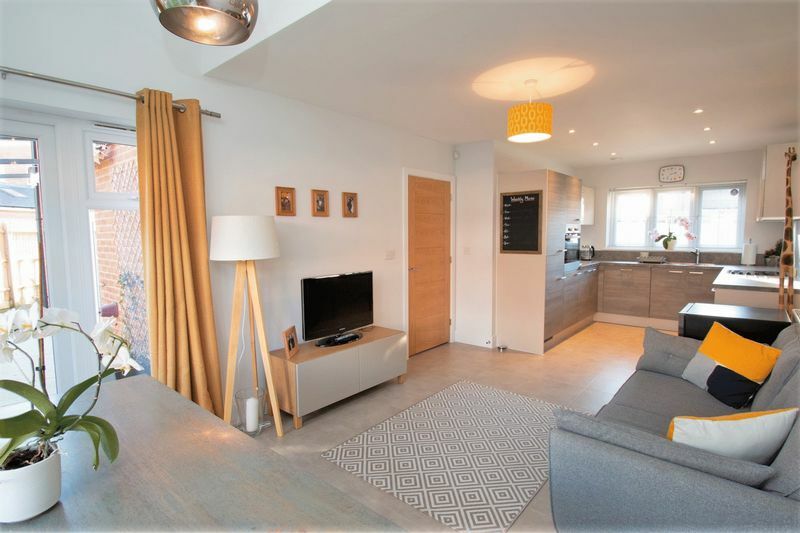 A short walk to all local amenities. Double glazed door to front aspect, tiled floor, under-stairs storage cupboard and radiator. Double glazed obscure window to front aspect, low-level WC with concealed cistern, wash hand basin with mixer tap, tiled floor and radiator. Plumbing and space for stacked Washing machine and tumble dryer. 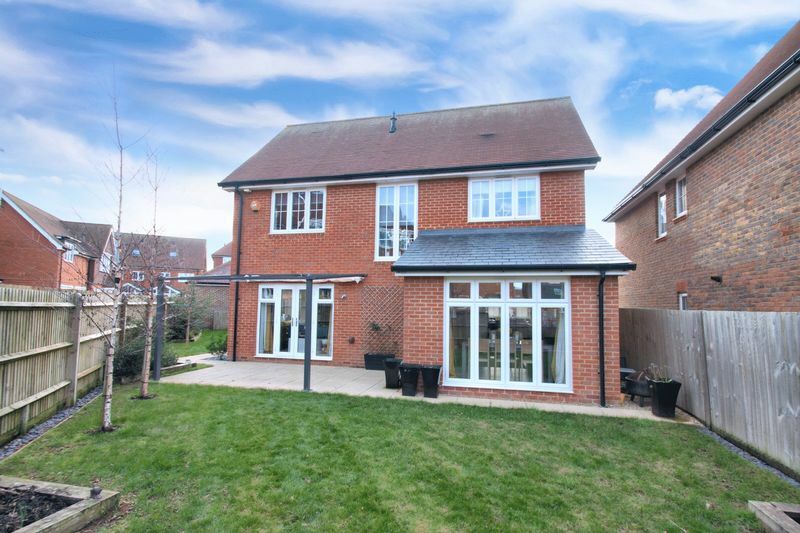 Triple aspect with double glazed window to the front, rear and side and double glazed French doors to rear garden. 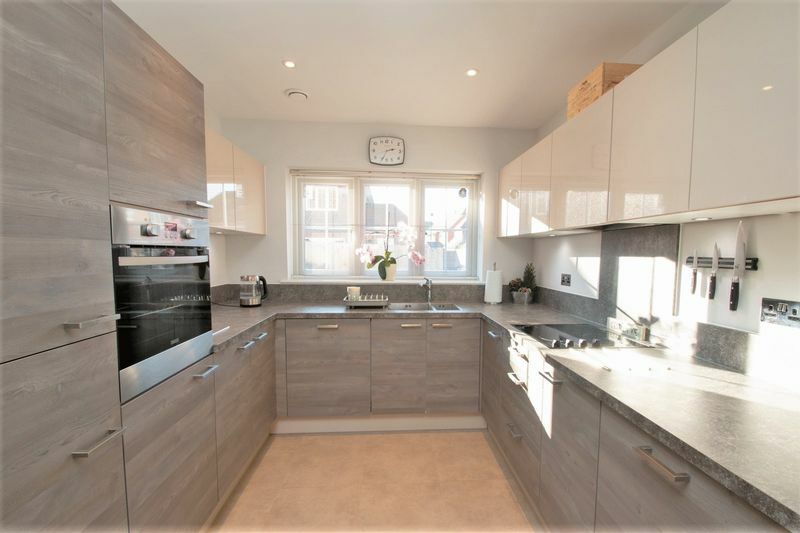 Wall & base level kitchen units with worktops and up-stand, one and a half bowl sink with mixer tap, 4 ring ceramic hob, integrated fridge freezer, dishwasher and built-in oven. 2 x radiators and tiled floor. 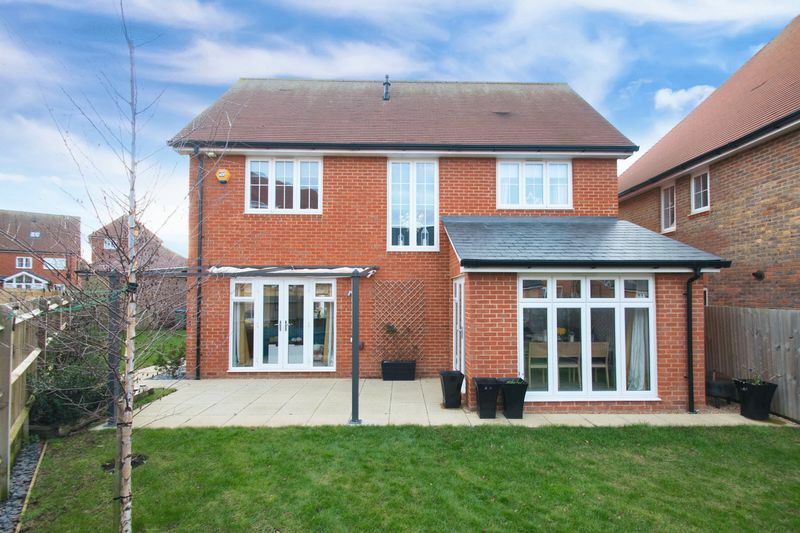 Triple aspect with double glazed windows to the front, bay window to the side and windows and French doors to the rear leading to garden. 2 x radiators. Double glazed window to rear aspect, loft access hatch, airing cupboard housing boiler and radiator. 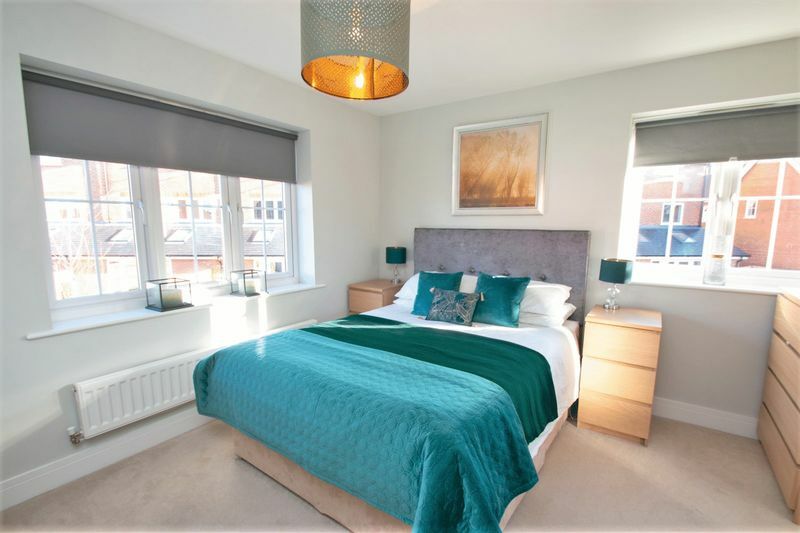 Dual aspect with double glazed window to the side and rear, double sliding wardrobe, radiator and door to Ensuite. 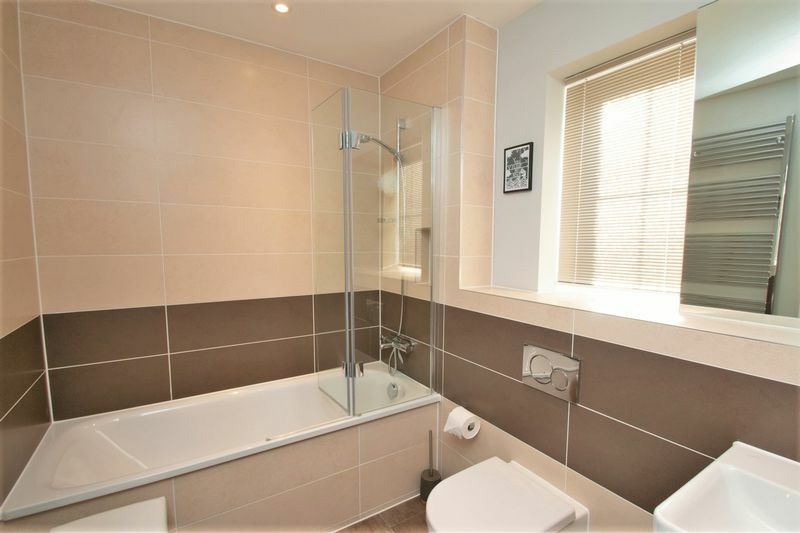 Double glazed obscure window to front aspect, skimmed ceiling with inset LED down-lighters and extractor, Walk-in shower, wash hand basin with mixer tap, low-level WC with concealed cistern, built in mirrored vanity unit and chrome towel radiator. Double glazed window to front aspect, skimmed ceiling and radiator. Double glazed obscure window to front aspect, skimmed ceiling with extractor, bath with shower over, wash hand basin with mixer tap, low-level WC and chrome towel radiator. 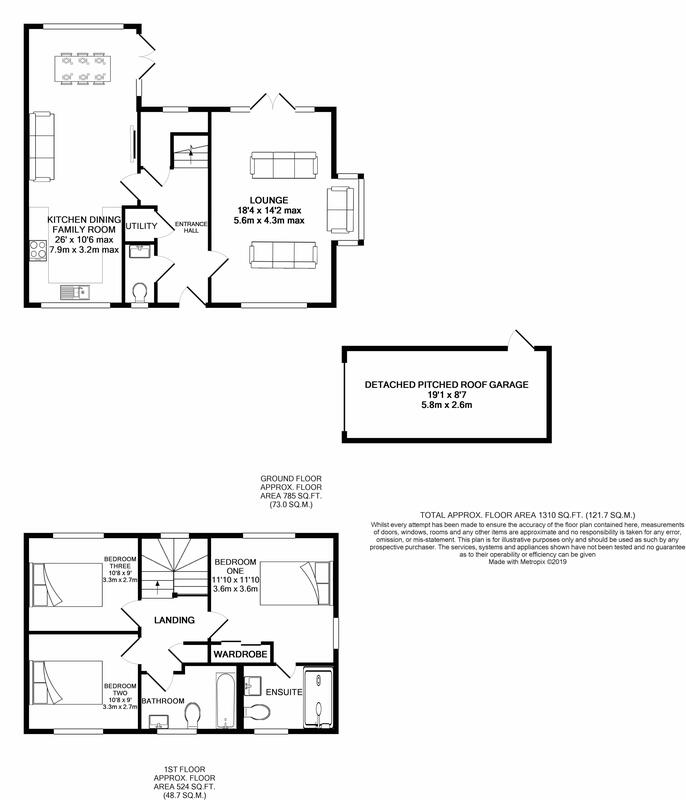 Up & over door to front, double glazed door to side to garden, power and light. 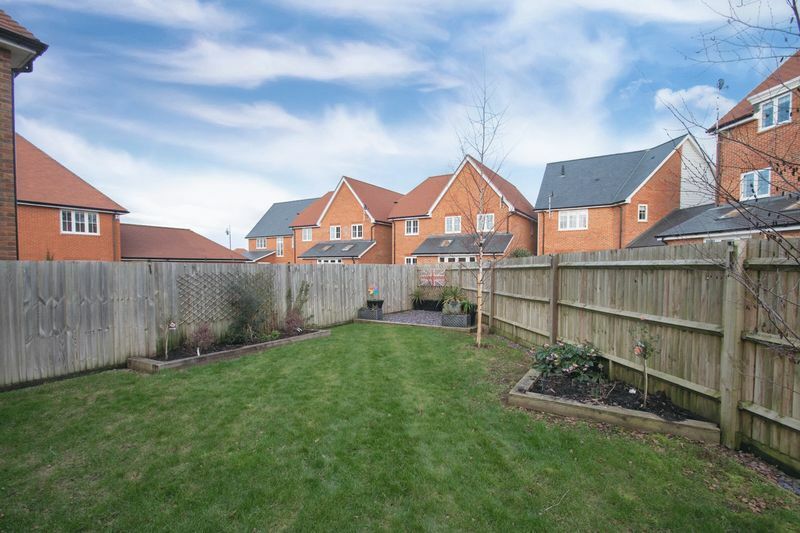 Driveway providing off road parking, mature shrubs and side gate to garden. Mainly laid to lawn with patio area, mature shrubs & outside light.